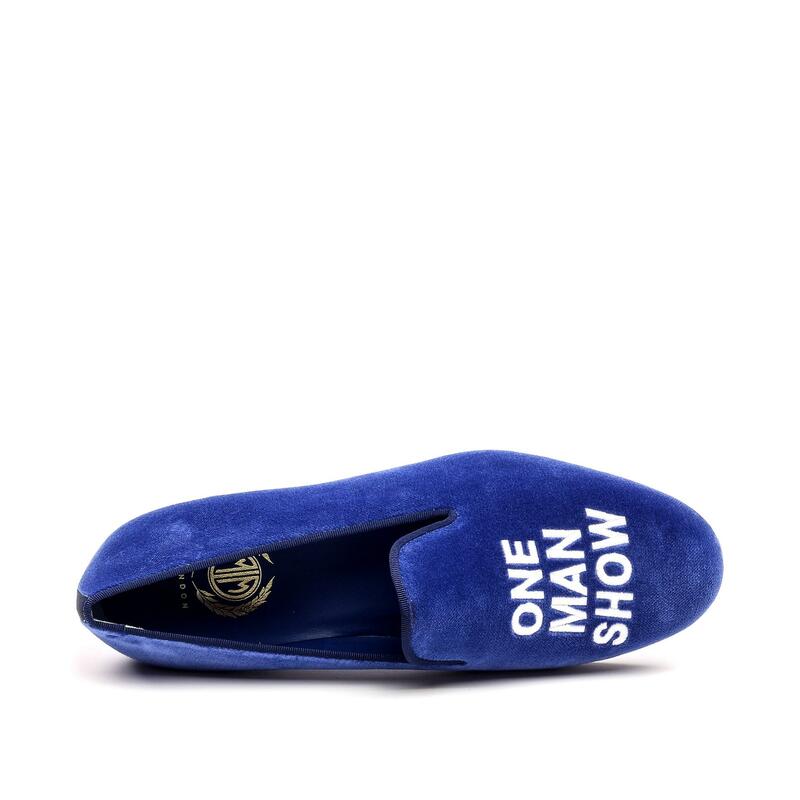 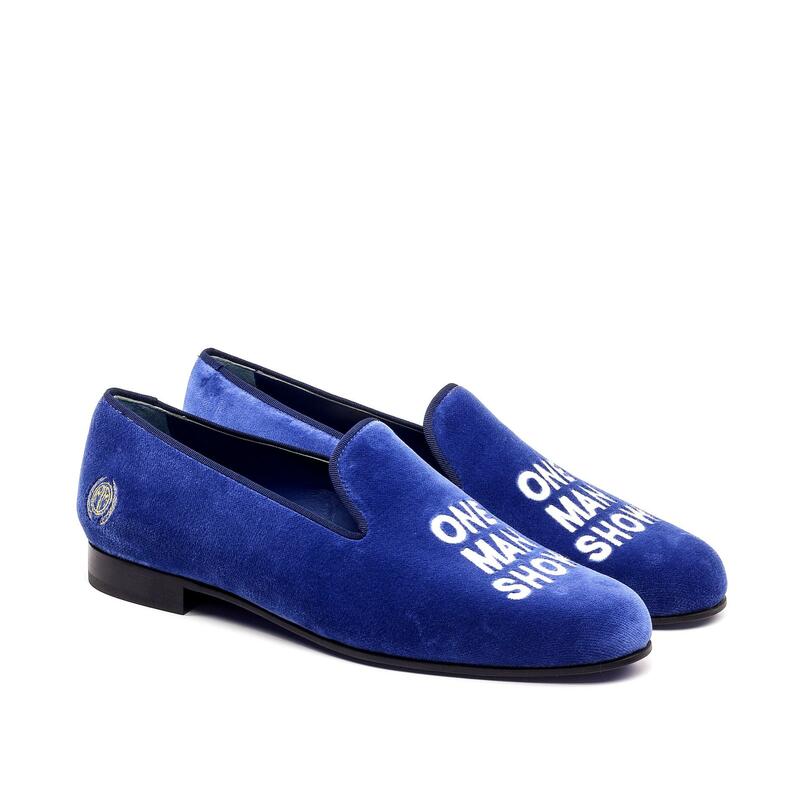 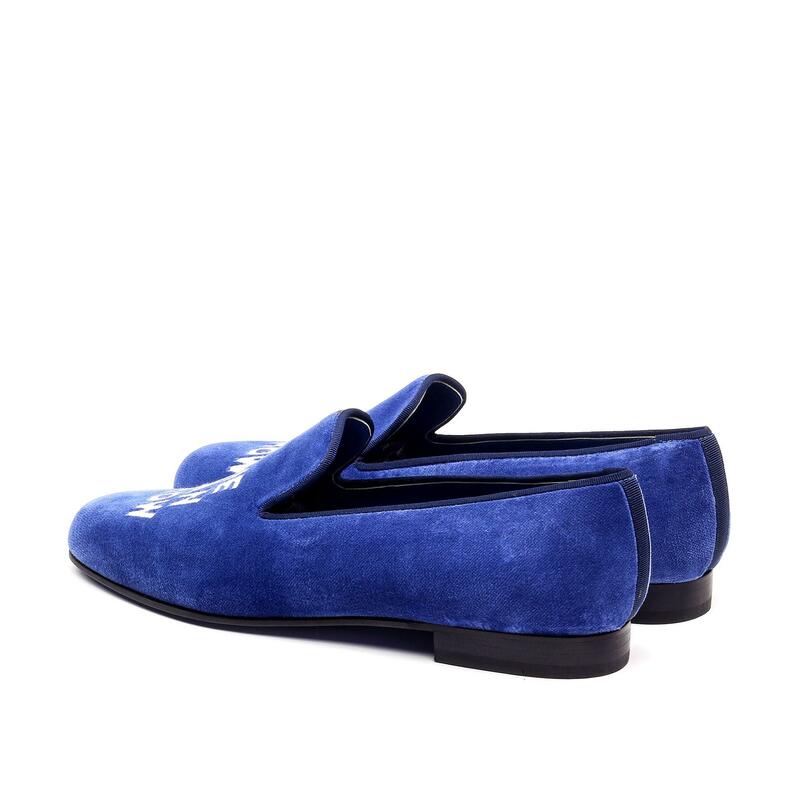 • Royal Blue Velvet Uppers. 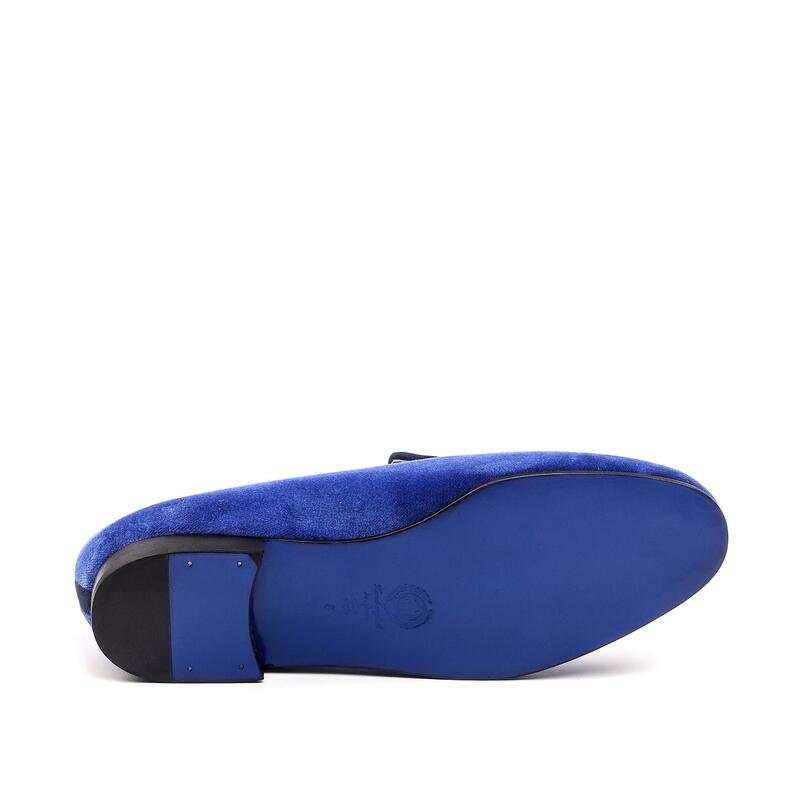 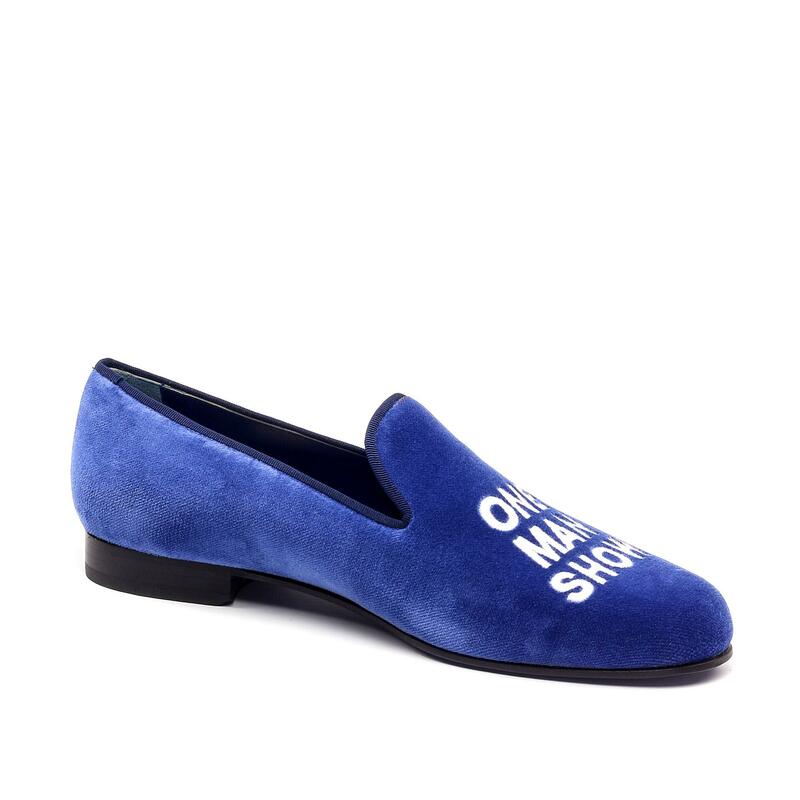 • Cobalt Blue Leather Lining. 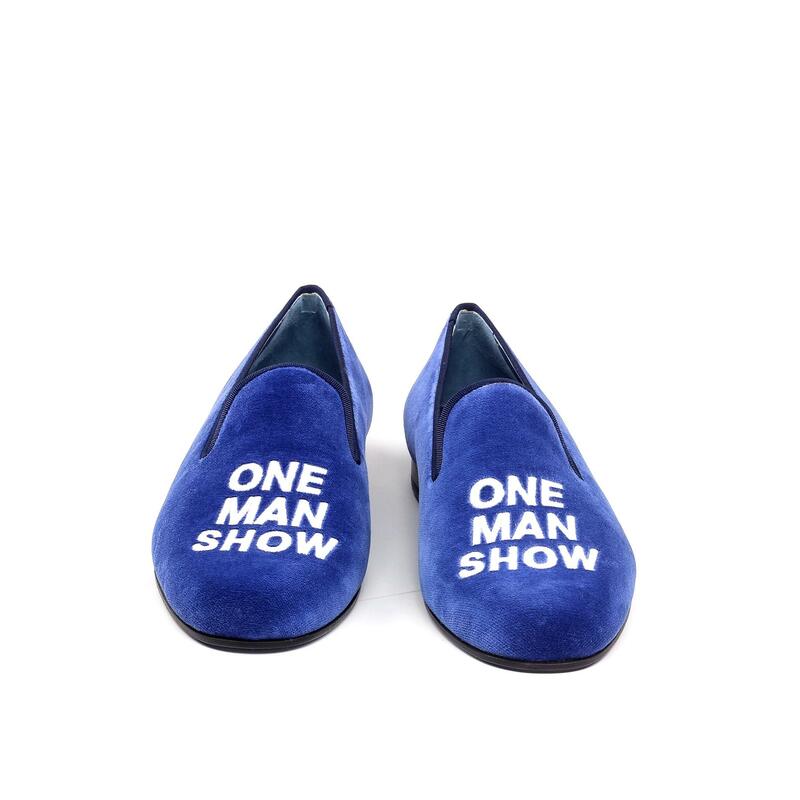 • Cobalt Blue Hand Painted Soles.